Read about Bella in this issue of Bark Magazine. 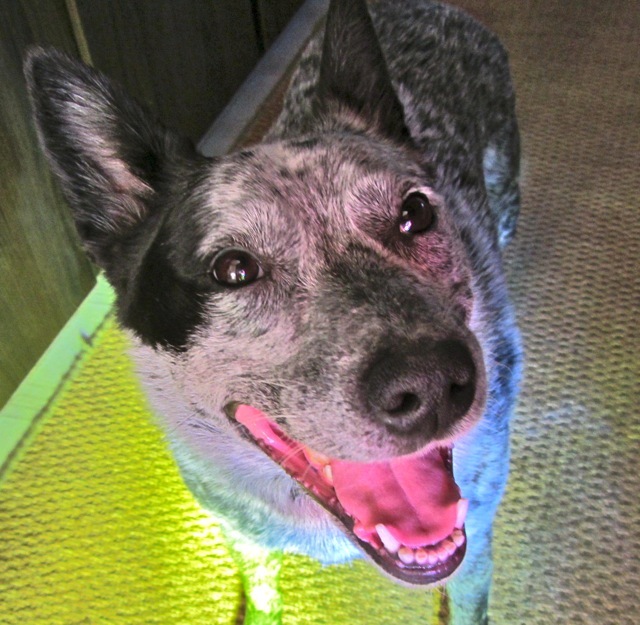 featured as Bark's Weekly Smiler. 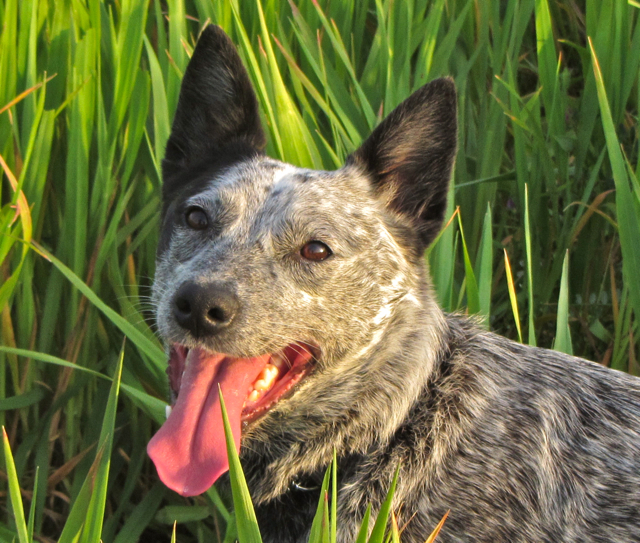 I'd been combing the Internet for months when I learned through a Bay Area couple with Australian Cattle Dog Rescue that a "pretty little Blue girl" would be available in a few days. She'd been picked up as a stray in the Central Valley of California, and the animal shelter there was required to keep her for at least three weeks, in case someone came to claim her. No one did. The information about Bella was promising. She was a young dog with moderate energy level and social with people and other dogs. I remember opening my email that Saturday morning, and finding the message with a photo of Bella attached. My husband and I went to see her that day. Bella looked us in the eye, with an expression that said, "Take me home with you!" It wasn't long before I realized that we needed the help of a trainer. Bella barked uncontrollably when she saw other dogs, and lunged at people in her excitement to meet them. Our dog Kepu was unhappy about having another dog in the house. Bella and I began working with a trainer twice a week. This turned out to be a rewarding experience, in part because of my interest in human behavior and healing damaged parent-child relationships. The training made it possible for the four of us to become a family.